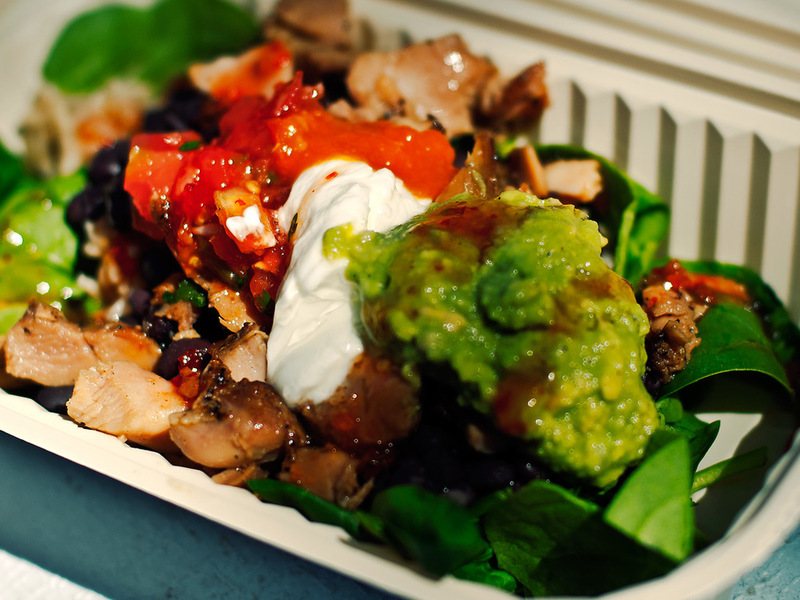 Fuego Food Carts serve fresh and delicious burritos and bowls. We are open for lunch at 7 locations in metro Portland area. We deliver, cater and participate in festivals and private events. 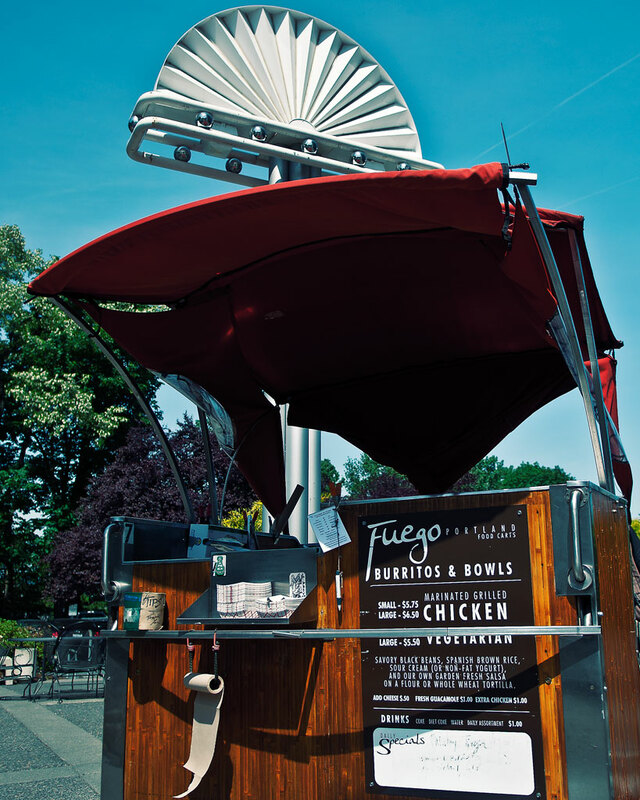 Since our inception over 20 years ago, Fuego Food Carts has been built on a simple idea: to offer gourmet food at fast food prices. 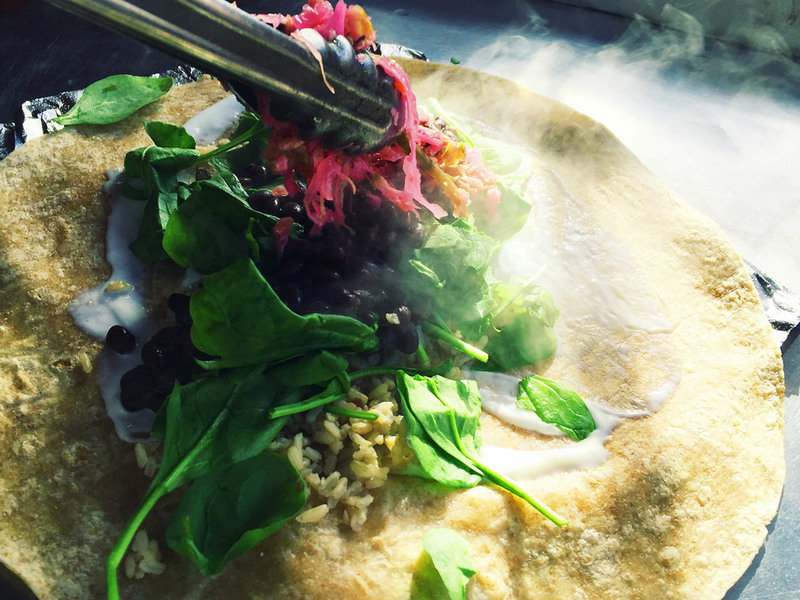 The success of our mission allows us to operate seven convenient locations in the Portland metro area where we offer delicious burritos and bowls. Each option comes with brown rice, savory black beans, house made salsa, sour cream or yogurt and several hot sauces to choose from; including our signature chipotle and habanero. Start with marinated grilled chicken or go vegetarian and top it off with housemade guacamole, spinach, shredded cheese or Fuego’s unique Portland pickles. We only use fresh and unprocessed ingredients which are prepared daily in our production kitchen. Vegan and gluten-free options are available upon request.